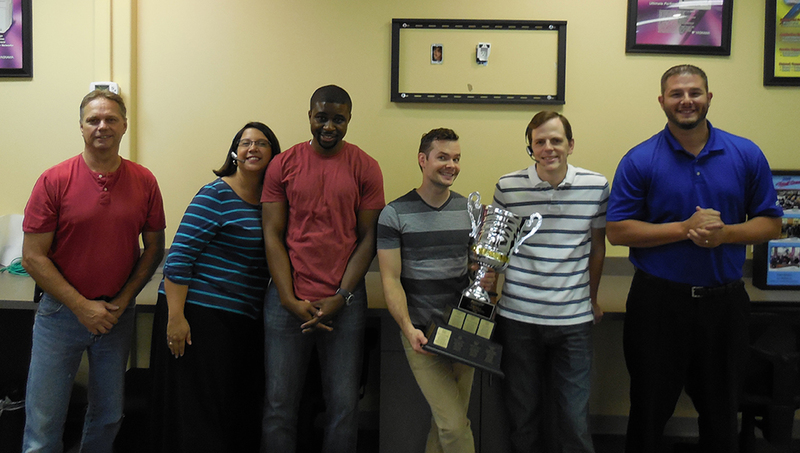 of our November LCS Cup………. 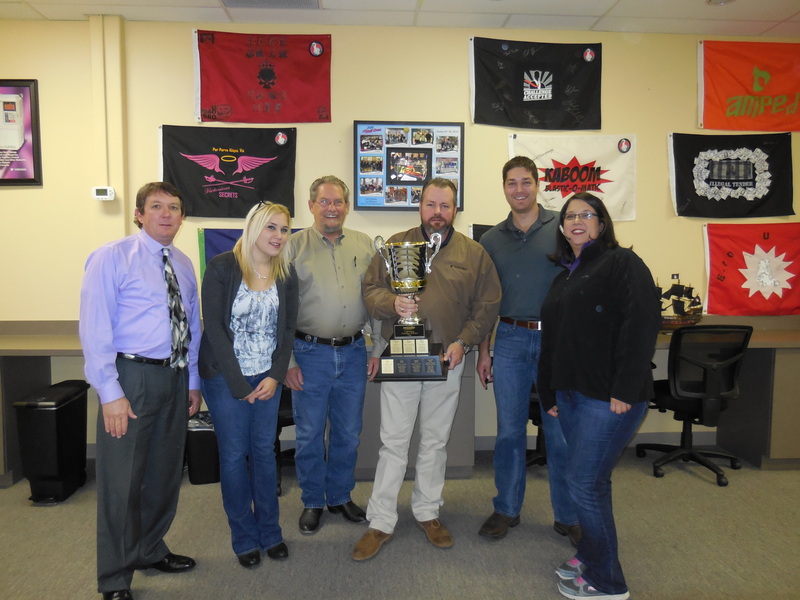 The magical team comprised of Dustin Greene, Lonnie Muse, Steve Falcone, Pepper Hastings, Jennie Buker, Gene Mussell and team captain Gina Arredondo finished the month strong to win this coveted cup. It’s halfway through the month and we wanted to revisit last month’s customer service team winners – Blue Moon Friday!! It was a tough race but these Legendary individuals were able to pull through to win a Free Team Lunch on the company and a half day off. The LCS cup has become a very competitive competition here at Innovative IDM but through peer recognized Legendary Acts this team took the cup. Embrace the Team Player Mentality! No panel is too big, no cable assembly is too small! IIDM Panel Shop Ready for Action!! Earlier last year (2013) I did a industrial electronic repair for a customer. After about one month, the customer called us asking for help installing the unit. I was asked if I wanted to go to Huntsville, Texas (about an hour away), to do the install, because our field service staff was shorthanded that week. Later that day, me and Jeff Smith loaded up the tools and equipment we would need. This was going to be my first time out in the field, and first time going anywhere with Smith. Within one hour of getting there, Jeff and I finished the install and where ready for the test run. Success. Everything was working properly, and we had one happy customer. That day I was able to help not only our customer but our internal customer — field service. I have never received more requests for a single person in my life. And if I were the president’s aide, I would assume that the numerous requests for one of our long-time field service technicians, Dale Frisk, would still topple the world’s interest to see the president. Almost every day, I am astounded to see and hear customer testimonials about a man’s life-long endeavor in the Field Service arena. I won’t regale you with a singular example as anyone who knows of him, has a story to tell. To put it plainly, there are too many exploits and stories that I know about from customers where he saved them here or there or double-dog saved them in another situation at 3am on a Saturday morning. Providing legendary customer service starts from the ground-up, and based upon actions that truly speak louder than words in this industry, that’s exactly what he’s done. If it is not known to you and your company on how to do this, read below to find out where the bar is. We had a customer who called a salesperson on a Saturday for an emergency repair. This salesperson contacted a Repair Tech who was willing to drive to the office at noon on a Saturday to meet this emergency repair. The tech completed the repair by the end of the day and the customer was back up and running that same day. This kind of act embracing multiple values that we hold true in our company is just one way we gain loyalty from our customers. Interested in how we can help you in this way? Customer Service reps are standing by. 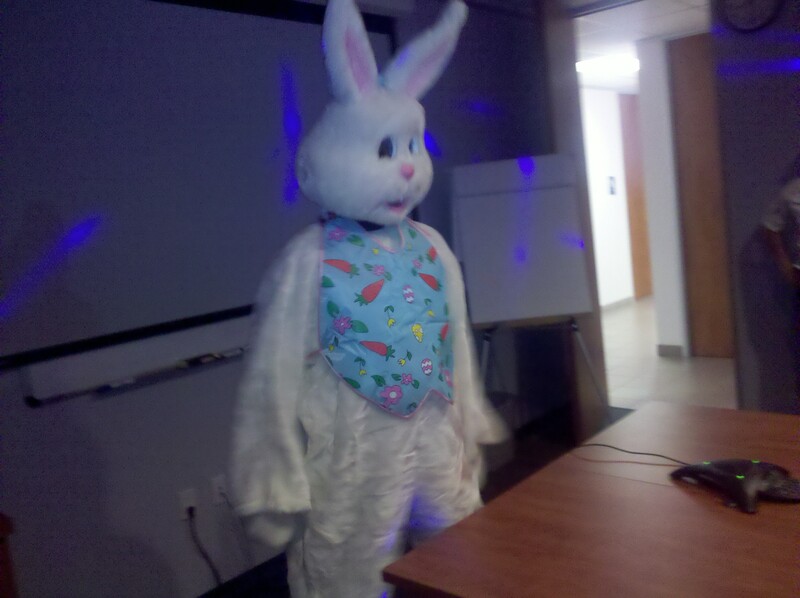 Why is the Easter Bunny in our Conference Room? Is the Easter Bunny real? Of course he is. We even have photo evidence! The big hopper attended my favorite hoopla ever. 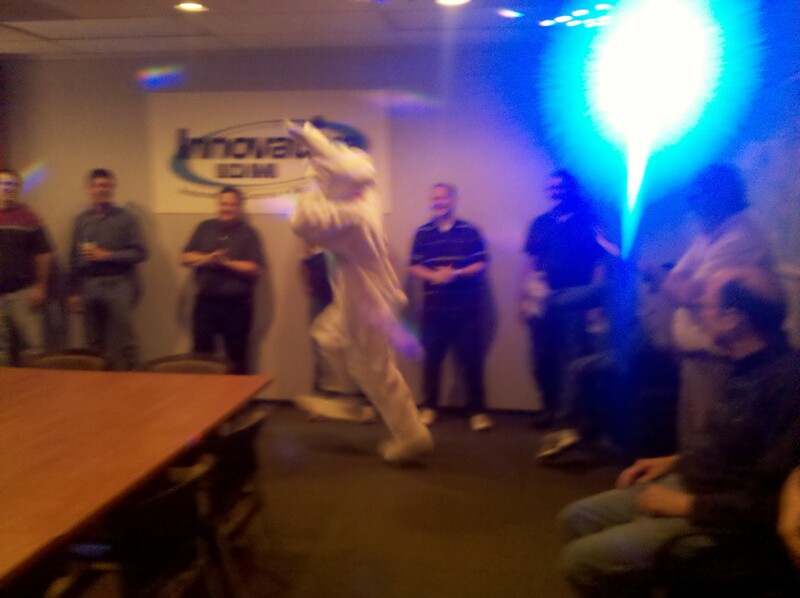 Our entire office got to hang out with the Easter Bunny and talk about our opportunities to help out our customers, suppliers and co-workers. What’s not to love about that? Has anyone seen my eggs? If your meetings aren’t hosted by giant bunnies under the flashing lights of a disco ball, then you’re attending the wrong meetings. Give ours a try.